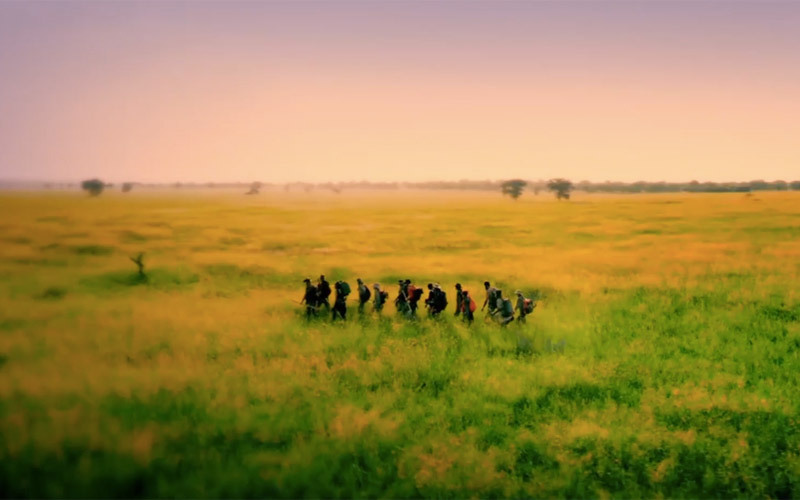 Mygrations is an upcoming National Geographic Channel series the network just announced, and as you can see in this exclusive preview, it features 20 people following the journey taken by millions of migrating wildebeest every spring. They’ll trek from Serengeti plains to Kenya’s Maasai Mara. Mygrations’ cast is formed of survivalists and others with outdoor experience, and they will also have no maps or weapons, only food and water they’re carrying with them. Judging by this exclusive preview, we may be rooting for the crocodiles and lions. Hopefully their the conflict is organic to the situation, and the show isn’t just volatile people dumped in the wilderness to create drama. The series is produced by the UK’s October Films, which also produced Walking the Nile, a documentary that aired on Animal Planet and followed a man’s nine-month walk along the entire length of the river. Rob D. – Washington, D.C. – Former Navy SEAL – Age 48. Rob’s time in the Navy taught him a number of skills that could prove vital in the savannah, including navigation, climbing, finding food and building shelter. Mimi S. – California – Community Outreach Officer – Age 53. Mimi is an endurance athlete, marathon runner and an avid traveler and will do anything to ensure the people around her don’t struggle. Jason D. – West Virginia – Director, Bushcraft School – Age 44. 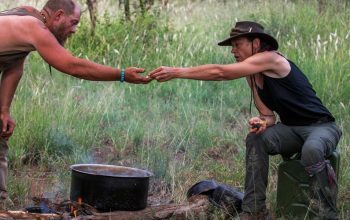 Jason is an Army veteran and president of the North American Bushcraft School, where he teaches primitive survival skills. He can hunt his own food, as well as make his own clothes, bow, arrows and even string. Tom S. – Hawaii – Executive Director – Age 63. 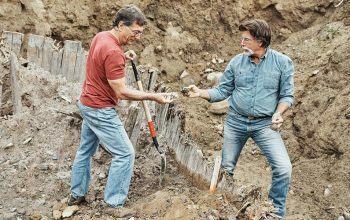 Tom taught himself to live off the land at an early age and values his connection with the landscape and his Hawaiian heritage. He is a skilled carpenter, native navigator and passionate student of his own and other cultures. Reza A. – California – Naturalist and Photographer – Age 30. Reza lives a double life, as a survival expert and as a high-society editorial photographer, but survival skills are his true passion. Dan B. – California – Primitive Survival Specialist – Age 36. Dan has 10 years of experience as a professional backcountry survival expert and currently runs the California Survival School. Jens R. – New York, New York – Outdoor Educator – Age 44. Jens teaches canoeing and survival skills on the East River in New York City. He relishes challenges and considers himself a strategist. Duke E. – Wyoming – Former Rodeo Rider – Age 36. Duke lives in what is considered the most remote town in the U.S. He lives off the land, foraging fruits and berries, hunting and fishing. Sarah P. – South Carolina – Equestrian Manager – Age 30. Sarah loves living in the wild and is always on the lookout for new adventures, places to go and ways to challenge herself. Jesse H. – Georgia – Student/Veteran – Age 28. Now a student, Jesse served four years as a paratrooper in the U.S. Army. His tough training means he’s able to cope with almost anything thrown at him, and he always does it with a smile on his face. Andrew B. –Oregon – Driver – Age 28. From the ages of 4 to 11, Andrew lived in a small West African village in Senegal and grew up with African tribespeople. He has dreamt of returning to Africa and knows he can make it across the Serengeti. Christanne M. – Missouri – Student – Age 19. Along with favorite pastimes including shooting and knife throwing, Christanne is also an enthusiastic athlete. She has the basic survival skills to find food, water and shelter, and isn’t afraid of tackling new situations. Joshua R. – Washington – Sales Associate – Age 20. Joshua entered basic training with the U.S. Army but failed to pass the initial training; ever since, he has looked for an opportunity to prove himself. Reggie S. – Pennsylvania – Extreme Sports Instructor – Age 51. Having lost his legs at a young age, Reggie is determined not to let his disability get in the way of his success. He has basic outdoor survival skills, is extremely fit and healthy and is excited to take on a new challenge and expand his horizons. Robin A. – New York – Fitness Instructor and Coach – Age 33. A trained lawyer, Robin decided to leave the profession after seven years to follow her passion for fitness and coaching. She is not afraid to say what she thinks and test her limits. Amy R. – California – Zoologist – Age 29. Amy has been hugely passionate about wildlife and conservation from a young age. She’s tough, incredibly competitive and not afraid to get dirty. Keith E. – Pennsylvania – Dairy Farmer – Age 44. With an active and challenging job, Keith is physically strong and durable, and is looking for an opportunity to test his mettle. Jesse K. – Colorado – Former S.E.R.E. Specialist – Age 42. 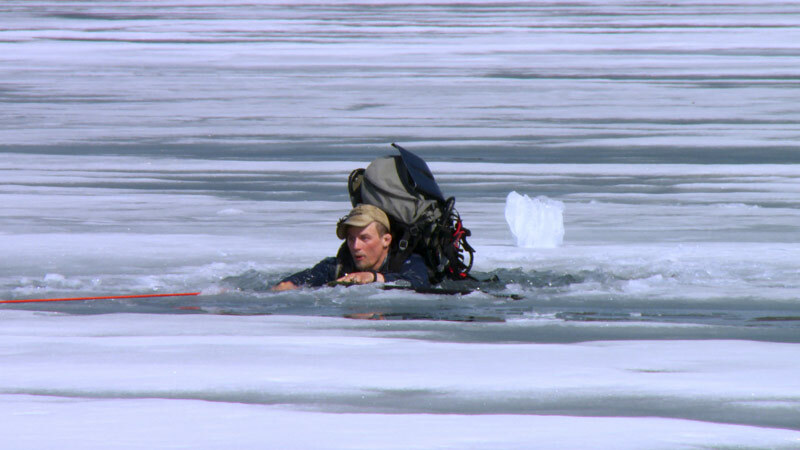 Jesse trained in the U.S. Air Force, specializing in Survival, Evasion, Resistance and Escape training, and now works as a wilderness therapy guide. She spends her spare time building herself an off-grid home. David G. – Rhode Island – English Teacher and Entomophagist – Age 49. David describes himself as passionate and articulate, but perhaps a little eccentric. He is a substitute teacher and also an entomophagist: he studies and eats insects.